Home / Articles / Samsung "The Frame" - Art or TV? Samsung "The Frame" - Art or TV? The new Samsung Frame TV is one of the most exciting innovations in the TV market in the last few years. Unlike recent advancements that have focused on increased resolution, curved screens and streaming video the Frame TV is unique because it is designed to look great, even when off. The Frame, when in use, is a traditional 4K LED TV, with quality matching or exceeding the majority of LED TVs available. What makes it so unique is the focus on aesthetics. When not in use, the Frame transforms into a work of art. Actually, it displays art in surprising realism. Samsung includes hundred of photos from dozens of genres. My personal favorites are dark, moody, high contrast images. They render as if you are looking at canvas. Anytime the motion sensors “see” someone in the room the art is on display. When no one is around the TV turns off to save power. 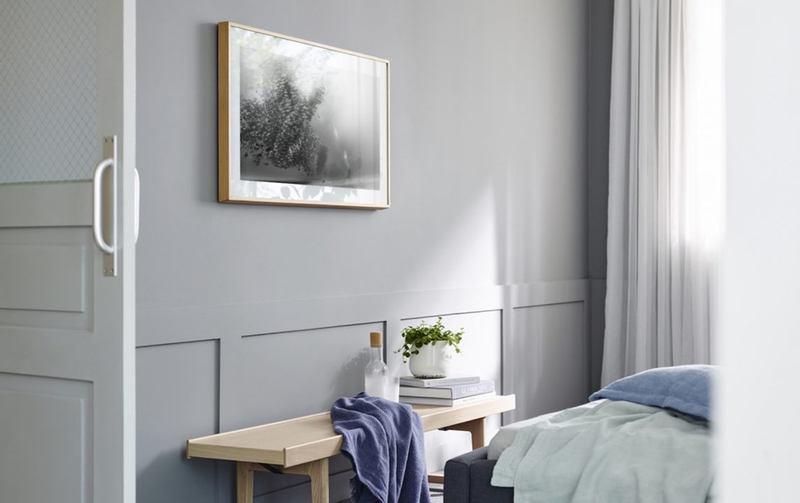 The Samsung Frame also uses sensors to measure the light in the room, allowing it to maintain the photo-realistic look regardless of the amount of light in a room. Samsung even had the good sense to have the TV turn off automatically in a pitch dark room. Just as one couldn’t see a painting in the dark, they cannot see The Frame. To continue the illusion Samsung has created a package that looks lust like a modern framed piece of art, complete with a fantastically then bezel that wraps around the edge of the display. While it ships with a black frame, additional options are available. Samsung also offers frames in white, beige and walnut, allowing the ability to truly blend the TV with the decor of any home. 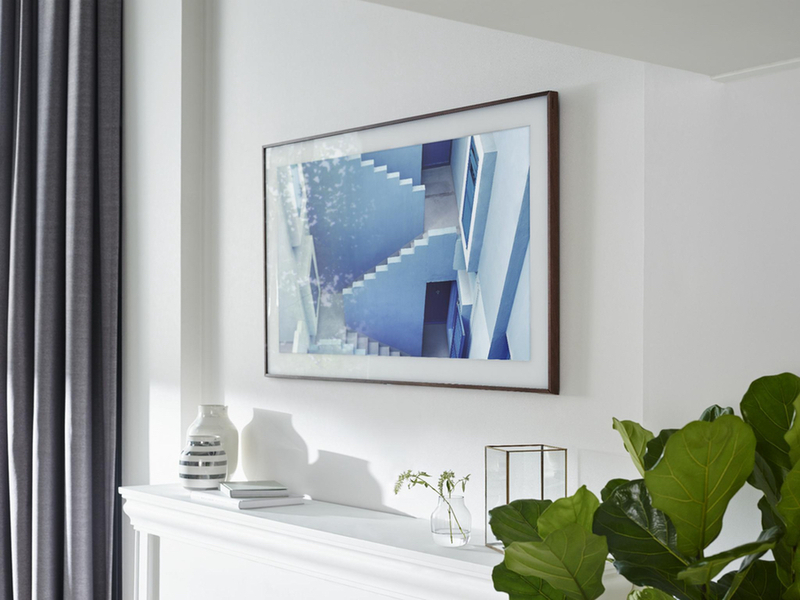 Finally, Samsung has created a mount that allows The Frame to fit snugly against the wall, exactly like a piece of art. The effect goes beyond the look of modern paper thin TV’s and appears to be truly custom. Someone viewing the TV for the first time while in art mode would be very hard pressed to realize that they were looking at a TV unless they were told. With all that said, who should buy The Frame TV, as opposed to the Sony Z9D or a nice LG OLED? 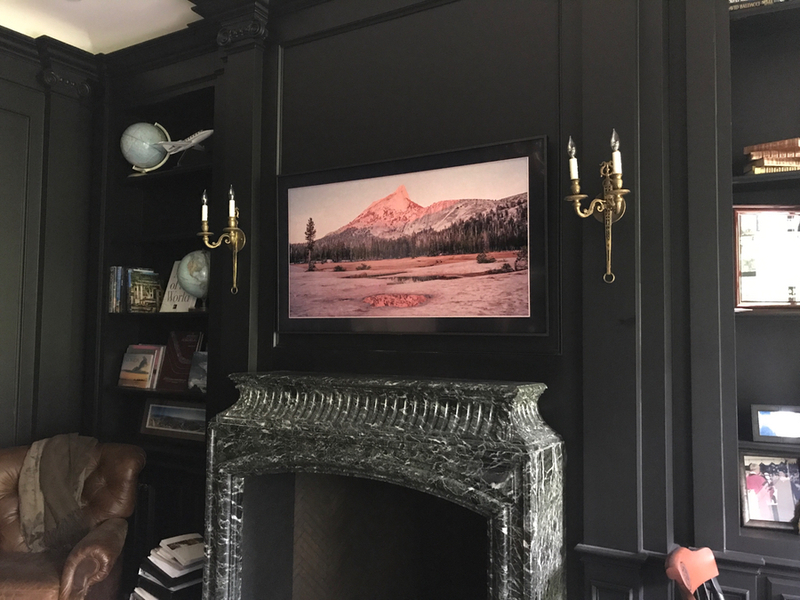 In my opinion The Frame is perfect for a room where absolute video quality is secondary to the aesthetic considerations of the room. Another consideration is whether or not people are often in the room with the TV off. If so, The Frame may be an ideal selection for that room. In a dedicated viewing environment such as a media room or game room the slightly higher quality of something like the Sony AE1 might be a better fit. In outdoor settings a dedicated outdoor TV such as a Sunbrite Veranda or Seura Storm will be a more appropriate fit. 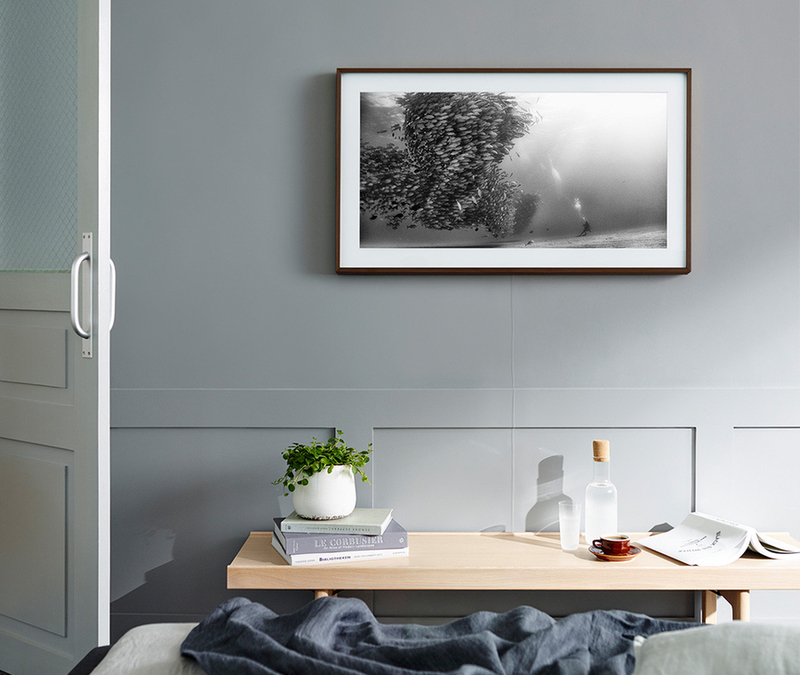 At the time of publication the Samsung The Frame is only available as a 55” and 65” model, so rooms requiring smaller or larger panels will be better served by a different model. For situations like those mentioned above Audio Video Innovations can still help you conceal your TV. We have options such as custom, motorized, artwork installed over the TV, motorized lifts, and more. Call us today to see how we can help you enjoy a 4K TV that looks like it was designed just for your space.